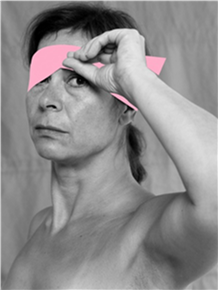 Press Release: Remove the Pink Ribbon Blindfold and Ask the Big Question. 16 international organisations and national groups have signed on to the statement prepared by From Pink to Prevention campaign, which calls on breast cancer charities everywhere to remove their pink ribbon blindfolds and ask why, despite all the money raised, more and more of us are getting this disease? The groups believe we are not getting the full picture on this breast cancer epidemic that has taken us from a 1 in 12 chance of a woman getting the disease in her lifetime in 1995, to a 1 in 8 chance today. On October 1st, a social media action aims to urge breast cancer charities along with the people who raise funds for the cause each and every year to remove their pink ribbon blindfolds. This action draws attention to the Big Question: why do most breast cancer charities persist in refusing to acknowledge the role of environmental and occupational toxicants by ignoring decades of evidence up to the present day on the link between our lifelong (womb to grave) exposures to toxics and the escalating incidence of breast cancer? Speaking for From Pink to Prevention Helen Lynn stated: “Seeking better diagnostics and treatment is not mutually exclusive with acting upon the evidence that shows how our profoundly polluted environment, homes and workplaces impact on our bodies and health. The ‘Precautionary Principle’ must be applied to this issue. All women need and deserve a full understanding of all potential risk factors for the disease that threatens women’s lives and health. Breast cancer charities should be leading on this, not refusing to acknowledge the evidence that connects it”. Each October international funding in the hundreds of millions is raised for breast cancer ‘awareness’. Yet too many Breast Cancer Charities do not acknowledge the environmental and occupational risk factors for breast cancer, when the evidence is already abundant. Instead, prevention is focused solely on ‘lifestyle’ risk factors such as diet and exercise, while ignoring the potential 60% of breast cancer cases that remain unexplained by the commonly accepted risk factors alone. There is a deafening silence in breast cancer awareness campaigns about the role of chemical, environmental and occupational exposures for breast cancer. Internationally, less than 4% of the global research spending on breast cancer is spent on research into primary prevention of breast cancer and only 2% on exogenous (external) factors like chemical exposure. The World Health Organisation states that prevention (which is not the same as early detection) offers the most cost-effective long-term strategy for the control of cancer. However, we do not see this fact reflected in most cancer plans and strategies. We, and the organisations that stand with us, want to see primary prevention (stopping the disease before it starts) equally addressed along with better treatment and care. We demand that those with the power to do so act on what we already know about the links between breast cancer and environmental and occupational exposures. Gudrun Kemper from Breast Cancer Action Germany says: “As many millions of women are already hyperaware of breast cancer. There is no more need for any pink breast cancer awareness. What is now needed is a fuller more complete picture. Maybe it’s time to change the name of the month to Breast Cancer Prevention Month”. From Pink to Prevention Campaign aims to move the breast cancer agenda from Pink to Prevention. Stopping Breast Cancer before it Starts. Overview of some of the scientific evidence on the links between breast cancer and environmental and occupational risk factors. Some key facts on the escalating incidence of breast cancer. Research paper: Sutton, P. California Breast Cancer Prevention Initiatives: Setting a research agenda for prevention. Reproductive Toxicology 54 (2015) 11–18. World Health Organisation – Asturias Declaration. Remove the Pink Ribbon Blindfold Petition. Information for action on removing the pink ribbon blindfold.